Equipment is available for daily, weekly, or monthly rentals, and our sales staff will carefully analyze the details of your requirements to match the right equipment to your job. 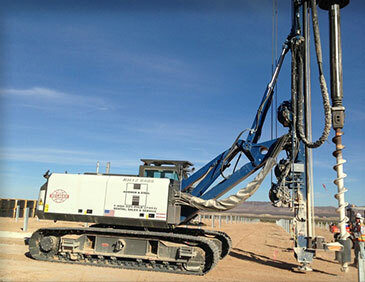 Hammer & Steel sells and leases the industry's most respected lines of low headroom drilling rig equipment including ABI, Delmag, and Soiltek. 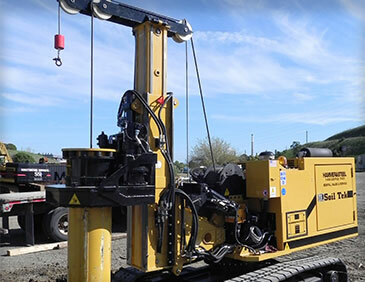 Hammer & Steel sells and leases the industry's most respected lines of low headroom drill rig equipment including ABI and SoilTek. 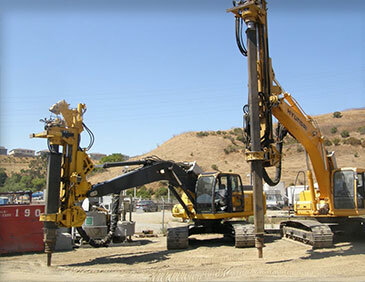 Hammer & Steel sells, rents and services micropile drill rigs (or tieback rigs) that can be used for a wide range of drilling applications including anchor drilling, micropiles, soil nailing, and jet grouting. 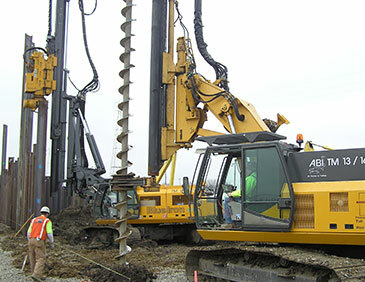 Hammer & Steel offers excavator mounted attachments when extra reach is needed when drilling. Hammer & Steel is proud to sell and rent augers and casing products from some of Europe's finest manufacturers. 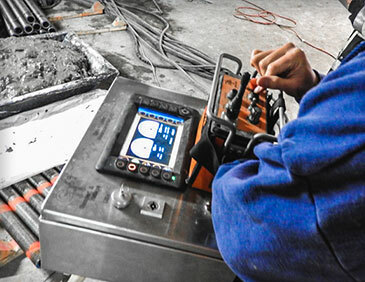 Our Gamperl & Hatlapa GmbH monitoring equipment is used for quality assurance in the installation of applications including sheet piling, grouting, diesel and hydraulic hammers.